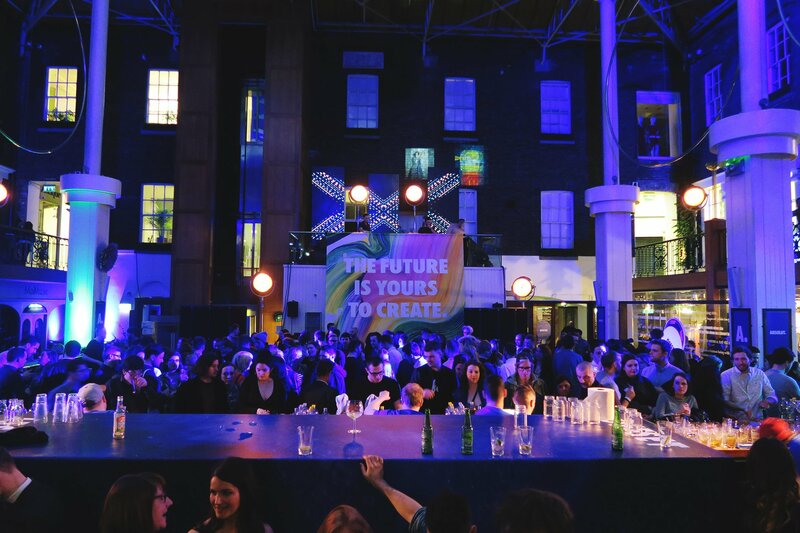 Every year, Dublin hosts an international creative festival/conference called OFFSET. I previously went back in 2012 with some friends from Uni and loved it so much that I wanted to return. 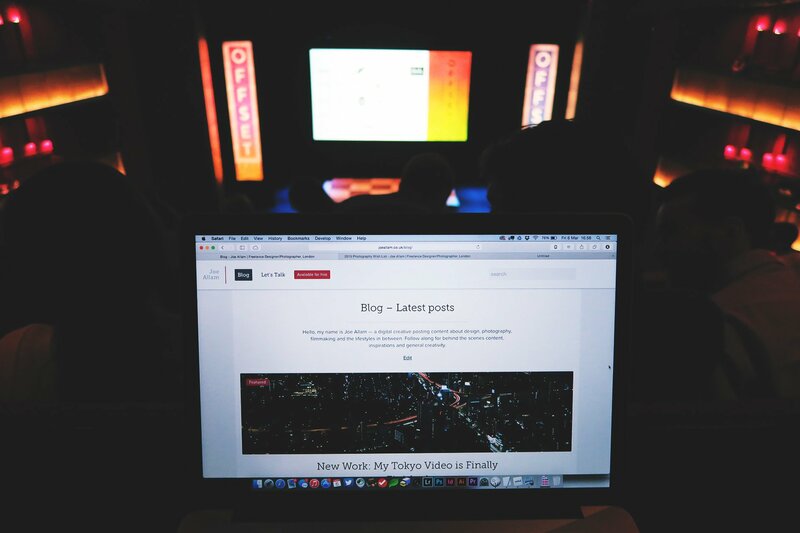 This year, I was finally able to return and wanted to get a load of content for my blog, so read on and follow the links to my favourite speakers of the weekend! My oh my was OFFSET much bigger this year than previously! Everything about the event was bigger and better. From the branding, to the stage design and even the after party on the Friday. Check out the title sequence featuring all of the speakers in cat-form. 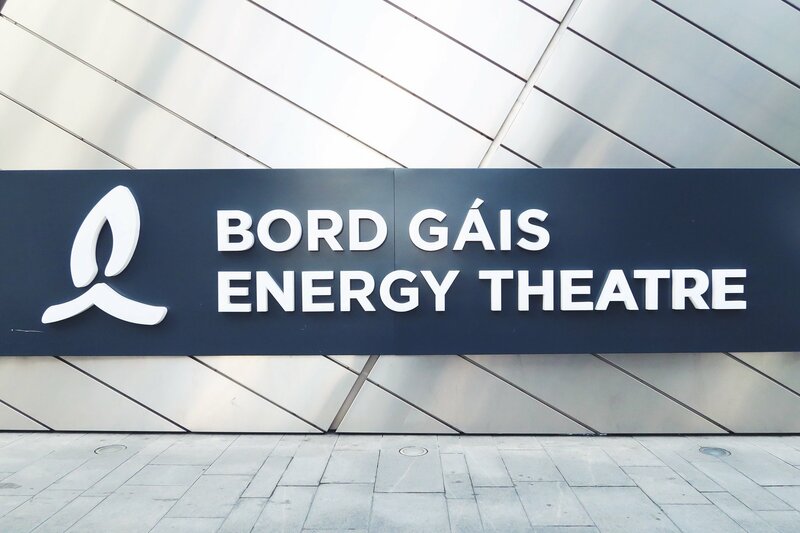 OFFSET is held at the Bord Gais Energy Theatre which is a swanky modern theatre in the built-up docklands area of Dublin. Even the after party was bigger and better this year. With Absolut being one of the main sponsors, of course it would be great! Before coming to OFFSET, I had been working on a redesign of this site, however getting the new version live didn’t go too smoothly. Pretty much everything that could go wrong, went wrong. In short, it took a while to stumble together a working version and will probably talk about it in another post/video some day. After every speaker, I took notes on my MacBook whilst it was still fresh in my memory. Here are my highlights of Niels Shoe Meulman's talk at OFFSET 2015. In possibly the shortest talk of the whole weekend, Niels showed a few projects including his calligraffiti (which is exactly what is sounds like) on a large scale. This humorous talk from Rory Hamilton of Boys and Girls' at OFFSET 2015 included a variety of work including ads for Guinness internal office branding. I absolutely loved Annie Atkins' talk at OFFSET 2015! Working as a graphic designer for movies, Annie showed all sorts of work from her extensive portfolio of designs. Her latest work for the Grand Budapest Hotel includes everything from props to signage and even carpet patterns! Day two was proving to be much more successful as my camera was working once again and I was able to get better quality images for my blog. I’d also made some more progress on my website relaunch, however I had lost internet access at the place I was staying at which was a real bummer. At least I had a great day of talks to enjoy! The Swedish agency Forsman & Bodenfors’ talk at OFFSET 2015 was extremely engaging. Most of the work they showed was their ad campaigns for Volvo trucks, including the hilarious stunts such as Jean-Claude Van Damme's epic split. After the troubles of the previous two days with equipment failures etc., I finally managed to have everything working, except for the WiFi at the AirBnB I was staying in, that was long gone. I was comfortably in the routine of visiting the venue, taking notes after every speaker and getting photos throughout. The only thing I may have been worried about was having enough room in my brain for all this inspiration! Matt's talk was quite possibly my favourite of the whole of OFFSET 2015. He showed a variety of editorial design work including the redesign of the Independent newspaper and his earlier work co-creating Port magazine. I was really looking forward to the Pentagram partner, Emily Oberman’s talk at OFFSET 2015. Emily showed a variety of work and the many things she's learnt from working on Saturday Night Live for the past 20 years. OFFSET have confirmed that they will definitely be back next year (the first time they’ve ever been able to confirm they’ll be back) yay! Keep a lookout at iloveoffset.com for ticket information. I’m hoping to write about more talks and creative events that I attend, so make sure to catch them on whichever network suits you best.